In the shots above you can see what the app actually looks like. The first photo shows the homepage, where you can scroll through and look at what the people you have followed have posted, 'feel' them by click the little heart and comment on them to let them know you're feeling it. The collage after that shows you the 'search' page. 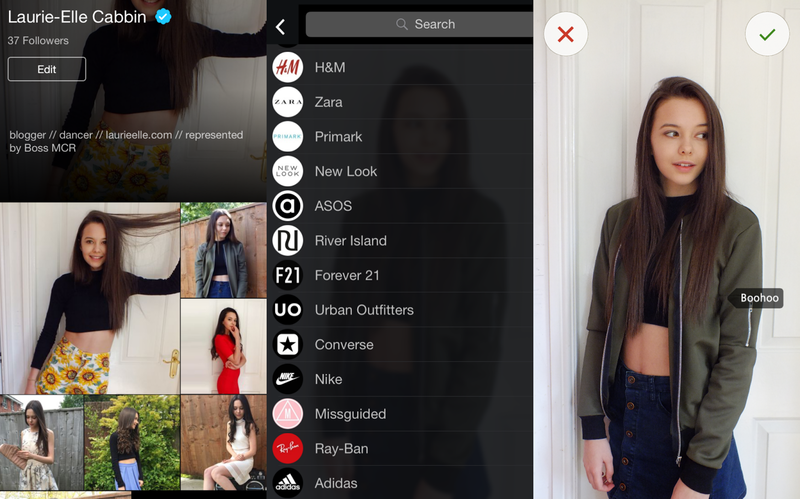 Where you can find new users or click on brands to see what outfits have been posted that feature them shops. As you can see, at the moment Miss Guided have a new casting call to find the #BabesOfMissGuided. If modelling is something you're looking in to, entering these castings is the best way to get discovered (especially as they're in partnership with Storm!). The next photo shows you what it looks like when you want to upload a photo or video, it's really simple to use! 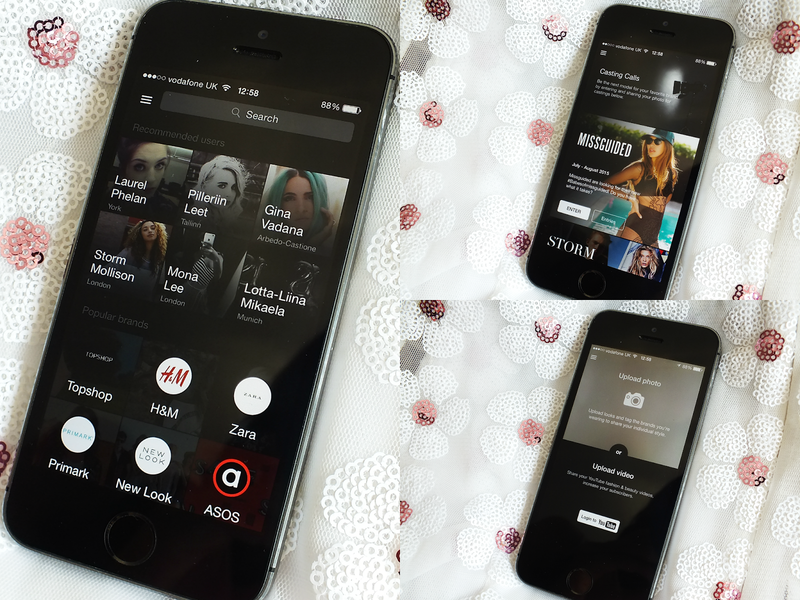 You can connect to your YouTube channel, take photos using your iPhone or upload the photos from you camera roll. I've also included some screenshots of my profile on the app and what it looks like when you upload your own outfit. You can search the brands you are wearing and tag them in it so people know where to find the gorgeous pieces! Overall, I really enjoy sharing my outfits and looking at what others are wearing. I've found so many new vloggers and bloggers that I would never have seen before if it wasn't for this app. The app is an easy way to get discovered. I've noticed that the community on the app is growing massively - it's the next big thing! Let me know if you have an account so I can follow you! You can find me by searching 'Laurie-Elle Cabbin'. Have you tried out Feels before?